Welcome to the Jefferson! This Beautiful new home has 4 bedrooms 2 baths with a Bonus/5th bedroom and almost 3000 square feet. 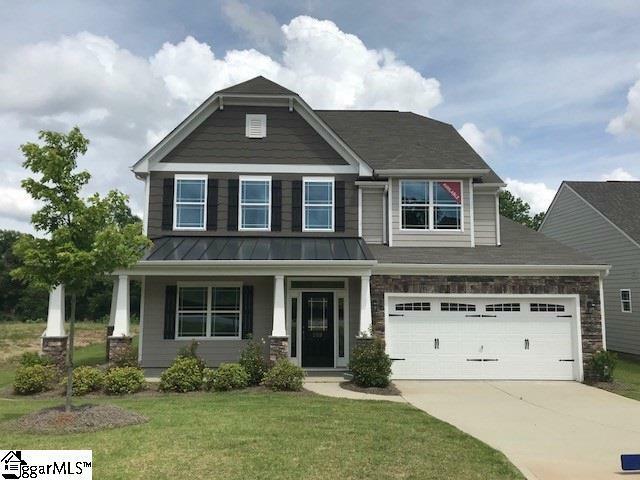 You are greeted with great curb appeal as you enter the deep Craftsman style wrap around front porch. 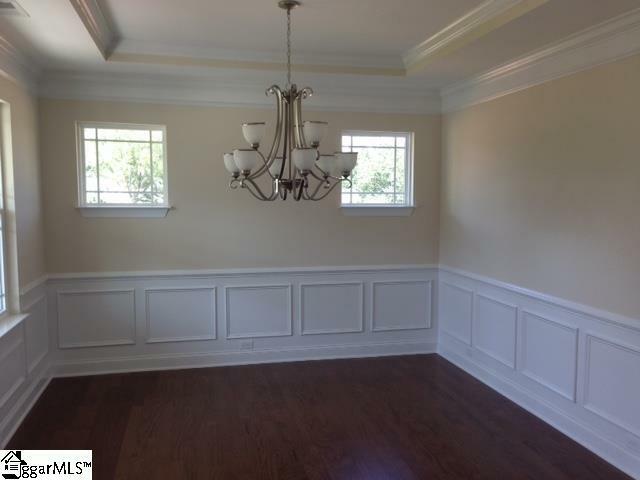 You will enter the home to beautiful hardwood flooring throughout the first floor. 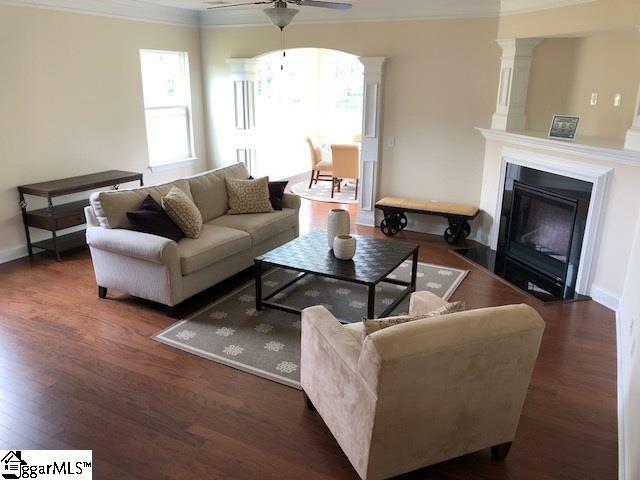 Upon entry to the foyer we have a great Flex Space that could be used as a living room, sitting room, dining room or office with plenty of natural light. This home has a great open flow with an abundance of natural light flowing in. 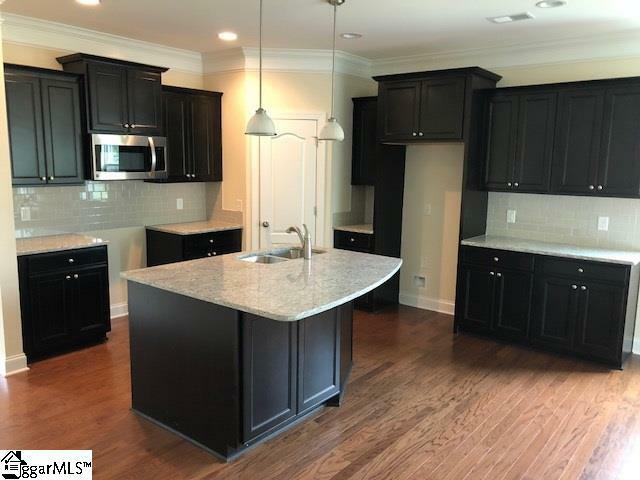 You will love the kitchen with upgraded staggered cabinetry and granite countertops, along with a beautiful large island that overlooks to the great room. Right past the great room with gas log fireplace it opens up to the Breakfast/Morning room. With plenty of windows and natural light in the morning room, you can enjoy the sun as it rises behind the home. Tucked away privately off the great room you have a large master bedroom with sufficient natural light flowing in and a large walk in closet off the bathroom. The master bathroom is a must see! This upgraded luxury master bath has separate his/hers vanities with a deep soaking tub for relaxation and tranquility. You also have a separate large walk in ceramic tiled shower with a full sitting bench. The upstairs features 3 spacious bedrooms with walk in closets and nice hall bathroom and very large Bonus/5th bedroom! Coming off the garage you have a nice size drop zone/mudroom with a large and private laundry room right off of it. This home sits on a beautiful lot with a private backyard made for entertaining. You have a nice patio area along with a wonderful flat and very usable backyard that backs up to an open area with great views of nice mature trees and surrounding nature!